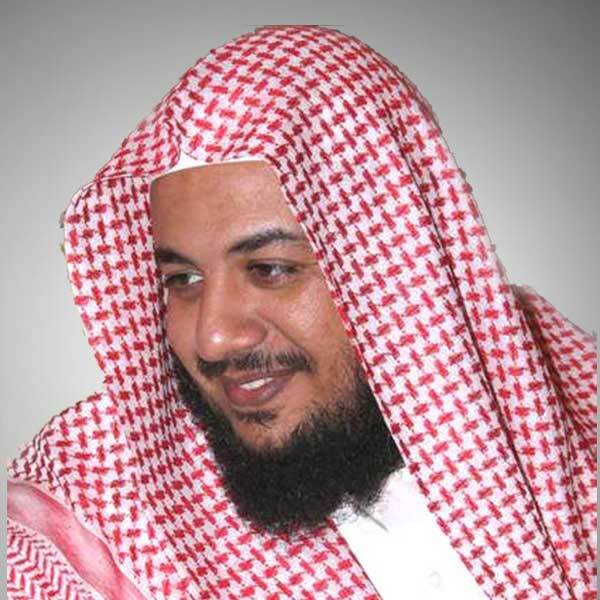 Sheikh Mohammed Ibn Idris Abkar is considered as one of the best voices in reciting the Quran, in the Islamic world, besides his powerful memory and his lovely personality, which got him to be in the list of the greatest Imams and Quran reciters. Idris Abkar was born in Jeddah, in 1975. His passion for the Quran started since he was eight, when he started taking courses in Tawhid mosque, then joined the Quran sessions in Qatani mosque at the age of thirteen; his strong memory helped him to learn by heart the whole Quran in four years, and as a result he took the role of Imam for three years. His sweet voice and wide religious knowledge plus his lovely personality helped him to lead prayers in many mosques such as, Ibn Taymiah, Ibn Alqayim, Assid Ibn Alkhadir, Salim Alharbi and Bajaber. He was tought by the greatest preachers, like Yusuf Al Ahmadi who played a huge role in his education, plus other preachers such as, Abelwahab Al Ahmadi, Awda Addahiri, Abdellah Alqarni, Hadi Said, and Mohammed Rafii. During the period where he was an Imam in Sheikh Zayed Mosque in Abu Dhabi for Tarawih prayers, his voice and the way he recited the Quran was admired, and was able to attract thousands of people. As a result, he was nominated the official Imam of this mosque where he led the prayers on Saturday November 23rd, 2013 during the Maghreb Prayers. Idris Abkar possesses a variety of audio-video recordings, which includes, Quran recitation, and number of prayers and supplications.